In this lesson, we will learn how to find the lateral and total surface areas of some different types of prisms using more than one formula. Suppose the length of each edge of an ice cube is 19 centimetres. The cube is then cut horizontally in half into two smaller rectangular prisms. 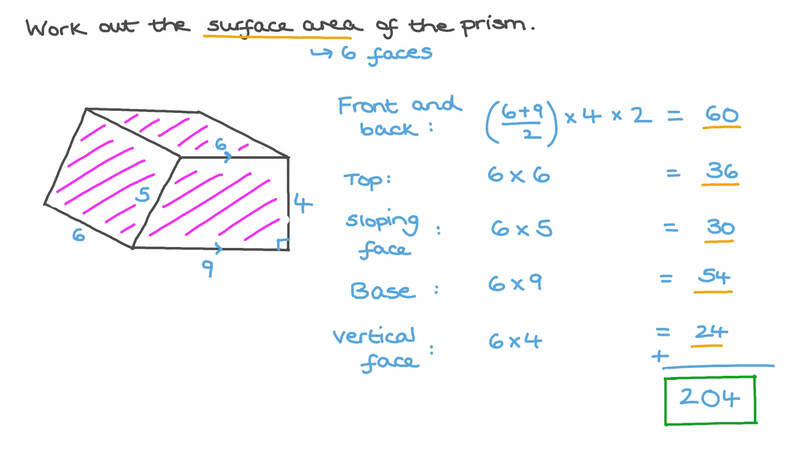 Determine the surface area of one of the two prisms. Mark uses cardboard to build a box 30 cm long, 25 cm wide, and 20 cm high. How much cardboard is needed? 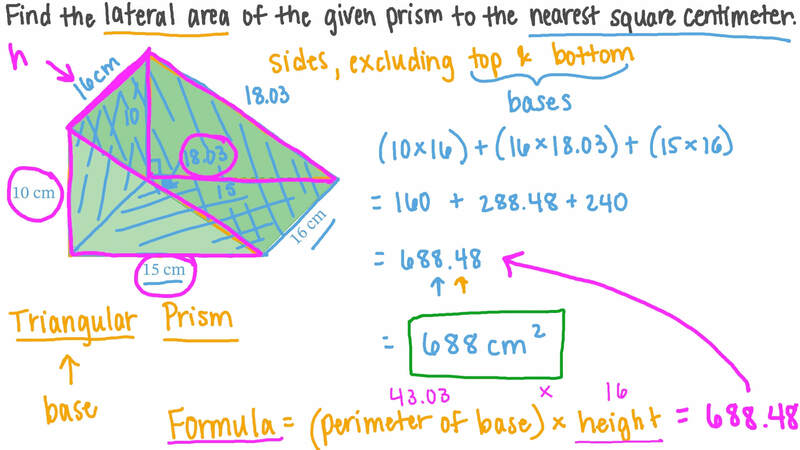 Find the lateral area of the given prism to the nearest square centimeter.